The present review was aimed at re-evaluating results obtained from animal models of depression based on experimental stressors in the light of the most recent data on the effects of stress on mesolimbic dopamine (DA) functioning. The data reviewed reveal that the effects of stressful experiences on behaviour and on mesoaccumbens DA functioning can be very different or even opposite depending on the behavioural controllability of the situation, the genetic background of the organism and its life history. 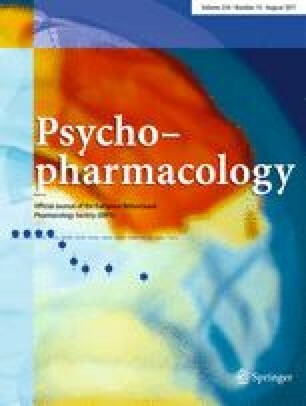 Exposure to a single unavoidable/uncontrollable aversive experience leads to inhibition of DA release in the accumbens as well as to impaired responding to rewarding and aversive stimuli. Moreover, the data reviewed indicate a strong relationship between these neurochemical and behavioural effects and suggest that they could model stress-induced expression and exacerbation of some depressive symptoms such as anhedonia and feeling of helplessness caused by life events as well as syndromal depression provoked by traumatic experiences in humans. Repeated and chronic stressful experiences can reduce the ability of stressors to disrupt behaviour, induce behavioural sensitisation to psychostimulants and promote adaptive changes of mesolimbic DA functioning. Opposite neural and behavioural changes, however, can be promoted in specific environmental conditions (repeated variable stressful experiences) or in genetically predisposed individuals. Thus, depressive symptoms may not represent the necessary outcome of stress experiences but be promoted by specific environmental conditions and by a genetically determined susceptibility.